Over 5 MILLION Kids Participate in The Great Kindness Challenge! 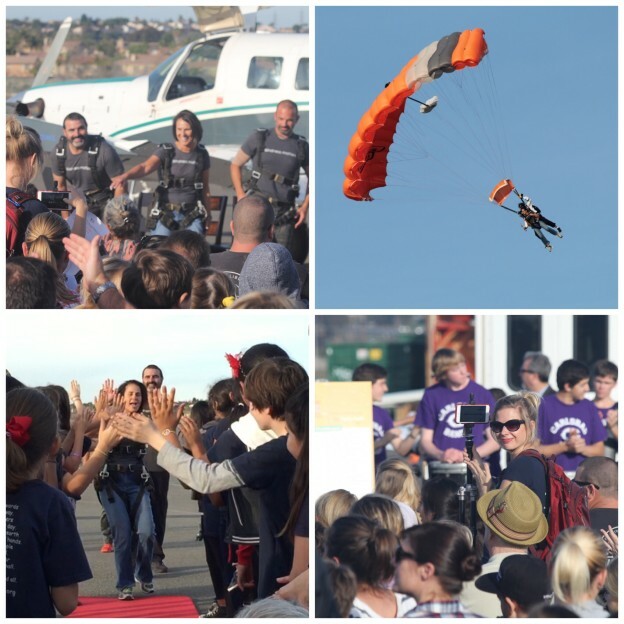 Carlsbad’s superintendent and two principals kicked off The Great Kindness Challenge by jumping out of an airplane! Last week, The Great Kindness Challenge spread joy and kindness through schools all over the world in a huge way. Over 5 MILLION kids participated, breaking last year’s record of 2 million. The Great Kindness Challenge is a movement that encourages schools to devote one week each school year to performing as many acts of kindness as possible using a checklist of 50 suggestions. The energy around it is indescribable, with anyone from mayors to fire departments jumping in on the fun. This year, Carlsbad’s superintendent, Suzette Lovely, and two founding school principals, Chad Lund and Richard Tubbs, kicked the challenge of by jumping out of an airplane. I feel so fortunate to have spent the week shooting video at the founding schools in the Carlsbad Unified School District on behalf of The Great Kindness Challenge founding nonprofit, Kids for Peace. Video shooting and editing is quickly becoming a new favorite form of storytelling for me, especially in this context. I simply could not look at my computer screen without smiling the entire time I edited this project. Working with Kids for Peace and The Great Kindness Challenge has empowered me to grow into the person I wanted to be. With so much injustice in the world, I went through a period in which it was hard not to be overwhelmed. I didn’t even know where to start. The amazing Kids for Peace team allowed me room to find my place, and to empower kids and mobilize kids with similar passions. It is so amazing to see kids access their natural strengths and use them for the greater good. Check out the video for a dose of joy!!! Kids for Peace, creators of The Great Kindness Challenge, is a global nonprofit that provides a platform for kids to actively engage in socially conscious leadership, community service, arts, environmental stewardship, and global friendship. This entry was posted in Uncategorized and tagged Carlsbad Unified School District, Emma Lesko, great kindness challenge, Kids for Peace, School Visits on February 4, 2016 by admin.